During a recent policy debate that our association, Communia, organized in the European Parliament, we tackled two issues in one go: open education policies and copyright reform. Christer Gundersen, a Norwegian OER activist who attended the meeting, wrote, “Copyright and OER in the same debate is not a good mix”. Christer’s argument is that these are two complicated issues on their own, and by combining them we make them even more challenging for policymakers to understand and act upon. We hear his point but think that there are natural and useful connections in addressing OER and copyright reform together. Traditionally, OER activists — and even more broadly, open licensing advocates — have not been strongly involved in debates on copyright reform, for example arguing for stronger limitations and exceptions to copyright. Open communities, including Creative Commons, have become involved in global actions in times of crisis, but typically have not seen such policy work as part of their core strategy. 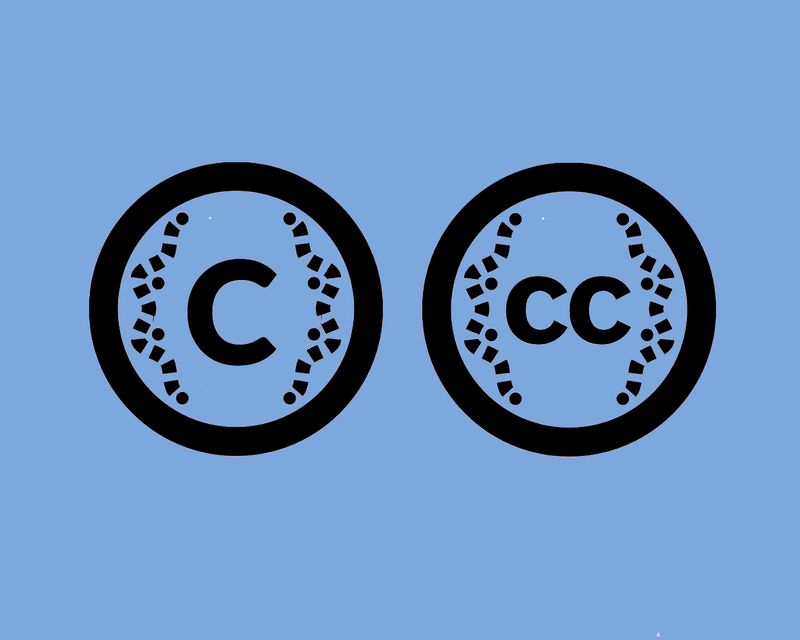 At the same time, the OER community, and members of the open movement in general, have been leveraging open licensing to share millions of pieces of freely available content, and have grown their community of supporters and advocates notwithstanding the stalemate in copyright reform. In the case of Creative Commons, this might also have to do with the history of the movement, which began as a response to a failure of the legislative process to enact meaningful limits to the term of copyright. Thus, voluntary licensing has been seen as a temporary replacement for a fundamentally broken law. Today, key organisations and communities in the open movement have their stake in copyright reform debates. Both Wikipedia and Mozilla see their mission as not just creating a free and open encyclopedia and browser, respectively. Their policy teams are involved in copyright reform actions, which they see as an essential element of their work. 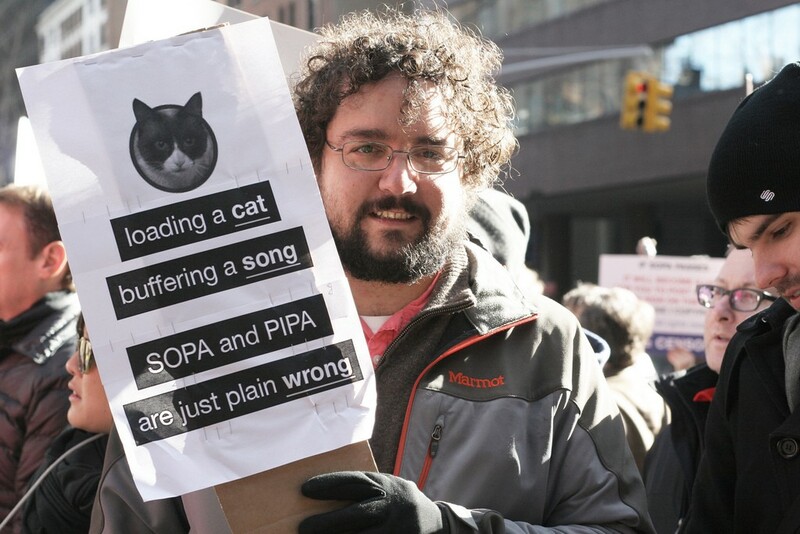 The protests against SOPA and PIPA in the United States, and ACTA around the world, seems to have been the turning point in motivating these organizations to get more involved. On January 18th, 2012, Wikipedia and other key open projects (including Creative Commons and Mozilla) took part in an online blackout against the draconian bills. Symbolically, early 2012 was the moment when the open movement mobilized to reform copyright law. This was the case for my organisation, Centrum Cyfrowe. Previously, we’ve consider ourselves mainly an open policies advocate. In 2012, we felt we had to become involved in the copyright reform debate as well. So why do we think that pursuing the more complicated model of combining copyright reform action and open education, instead of focusing just on OER advocacy? First, changes in copyright law cannot be ignored, as they can have a detrimental effect to user rights to access and use information or content. The open licensing model after all depends on copyright law as its framework. Finally, the success of open licensing is sometimes presented as an argument that copyright reform is not needed: licensing-based, voluntary actions are sufficient to “fix copyright”. We believe that this is not true — it’s worth remembering that at its origins Creative Commons was a movement that had the double goal of freeing culture, but also demonstrating the demand for copyright reform. Advocacy on open licensing is also a good match for copyright reform activists. The spread of the commons, new practices, and business models are all proof that a different copyright is wanted by creators. We continue to see that sharing, creativity, and collaboration grow once legal barriers are removed. And it is in the free software, free culture, open data, open educational resources or open science movements that one will find strongest supporters of copyright reform. But how does this approach work for education reform? When we talk about OERs or strengthening copyright exceptions for education, the goals are ultimately related to education, and not to intellectual property management. We don’t need a better law for its own sake — we need a law that supports and strengthens modern education. And such a law needs to secure user rights, as these translate into innovative pedagogies and personalisation of learning, and supports teachers as not just consumers of publisher’s textbooks, but also creators of educational content. OER policies and copyright reform are two mutually reinforcing strategies and sets of tools that are available to us. Working with both means that our policy work is stronger — we can choose the strategy fit for the given moment. Christer is right that this double reform strategy creates a complicated model. It would indeed be easier to sell politicians and policymakers one of two simple messages: “OER policies work”, or “Change the law, stupid!”. It would also be simpler not to force OER activists to understand copyright issues beyond the (relatively simple) open licensing model. And it’s quite possible that we need to work more on developing our messaging and communication strategies. Copyright reform: why should you care? But we do not really have the possibility to choose one strategy over the other. Here’s why. First, the ongoing copyright reform process in Europe creates an opportunity to change copyright law for education. It is an opportunity that we cannot let slip away. In the cultural heritage sector, a strong network of institutions led by Europeana has been conducting successful advocacy work for the sharing of works in the commons. But there’s no parallel development in the education sector. Key educational stakeholders remain silent on copyright issues. If traditional education stakeholders aren’t stepping up, the work has to be done by OER community, as they constitute the group of educators that is most knowledgeable about intellectual property rights in education. I hope that future documents on open education, like the UNESCO Paris Declaration on OER from 2012, will include a recommendation to reform copyright in support of modern education. Third, the effects of the two strategies on education are complementary. On the one hand, open licensing guarantees user rights in a way that is understood and standardised globally, and not fully dependent on the shape of the underlying law. On the other hand, not all of the resources needed for education will be openly licensed — for example, modern education requires use of cultural resources that are in copyright and will never be openly licensed. We therefore need good and balanced rules allowing educators acting in the public interest to use these resources. Finally, a copyright reform process does not always lead to improved laws. On the contrary, legal changes often lead to negative outcomes. New laws can limit use, introduce new payments or make open licensing incompatible with the given legal system. In such cases, OER advocates need to take a stance in defense of the existing rules. Attempts to extend terms of protection are an example of such “reforms” (the Trans-Pacific Partnership being the most recent case). For all these reasons, we need to work with these two approaches in parallel, and treat them as two sides of the same coin. So no matter how you flip it, user rights in education win. Head, Centrum Cyfrowe / Public Lead, Creative Commons Poland / Communia Association. Dealing with all things open, with a policy focus.